Yesterday, I went to Wensha Spa with my family and friends. You know, just to wind down. I’ve been to massage spas like Mont Albo Massage Hut and Nuat Thai, but never to a spa like Wensha where there’s jacuzzi and sauna. I also wanted to have buffet meals, so I was really excited to go. I am a pessimistic person, and yesterday was just one of the times when I regret being a little too positive and excited about things. 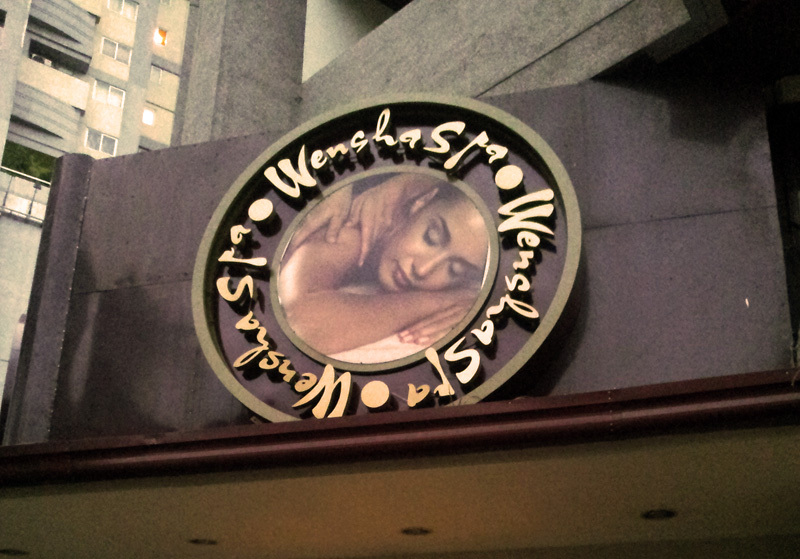 Wensha Spa Timog was not that enjoyable at all, for the price of 780 pesos, which is not cheap for me. Too bad the Pasay branch is under renovation. That’s our original destination. There were a few things I liked. In the buffet table, I liked the Asian style fish and tofu dish, the soft spicy squid dish, the orange juice that tasted like freshly squeezed juice, and the not so tasty but still enjoyable dessert that had sago, fresh coconut shavings, cheese, and very light cream. The type of massage they performed was nice. We think it’s a combination of Swedish and Thai massage. I was impressed by the stretches they did, especially the part where they lift us up. After taking a shower and while waiting for our turn to get massage – that was the part when I felt most relaxed. It was a Sunday morning, around 11AM. There were several families lined up ahead of us to be granted access to the spa, 2 to 3, if I remember correctly. During our turn, each of our companions were asked to write his/her name and signature. There were five of us, three women and two men, and we all availed the body massage service only. This was priced at 780 pesos per person, and will take a hike to 830 pesos on September. Blargh. Each of us were given a stub for beef. Beef is expensive and people love it, so they limit the serving. Only one serving per guest. Before finally entering the spa, we deposited our footwear to the right side of the reception counter. They gave us the spa’s rubber sandals to wear instead. The women and men in our party split. The men’s spa is located at the ground floor, while the women’s spa is upstairs beyond the dining area. From the dining area, me and my female companions entered the hallway where the massage rooms were located. There were rooms for women’s massage with many beds which the staffs called the common massage room. There were also more private rooms for three. I didn’t get the chance to peek at the other rooms to know how many beds were there but I heard that some were men’s massage room. At the end of the hall of massage rooms was the women’s locker room. A staff asked for our guest numbers and handed us our robe and towel. I liked the warmth of the robe and towel when we got them. Cozy. 🙂 We had to change into robes right there in the locker room. Wala nang hiya-hiya. We then decided to have lunch first with our male companions because it’s already 12 noon. Like I said earlier, the dish with fish and tofu was delicious. The pancit was so-so. Chicken and veggies dish was without flavor. The meal made me sad… until I tasted the hotpot. The soup was quite refreshing and the meat balls (fish balls and squid balls?) were tasty and not soggy. Three of the people in our party have been in Wensha Spa Pasay branch before and they said there were more food varieties in the buffet table there as compared to the one at Timog branch. They said there was ice cream in the Pasay branch’s buffet. 🙁 They also said that the ambience at Wensha Pasay’s dining area was much better, that simply looking around would make you feel nice. 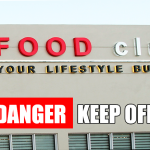 According to them, Timog branch’s dining area looked like a not-so-special restaurant. Jacuzzi at Wensha Spa Timog – hot jacuzzi was not even warm enough! Everyone needs to strip off everything at the jacuzzi, except for the disposable underwear (bottom only) which was NOT available during our visit 🙁 When we got there, around 1PM, there were only a few women. We shared the small jacuzzi with a mom and her little daughter who was trying to swim in the jacuzzi, splashing water all over the place. That was annoying because I need to avoid water in my eyes for health reason. Yeah some of you might say, “you go to a jacuzzi and expect not to get a single drop of water in your eyes?” but it’s still annoying. According to my female companions, the jacuzzi at Wensha’s Pasay branch was deeper and warmer, and they were able to stand up. At Timog’s jacuzzi, we had to kneel or sit down to get soaked up to the shoulders. The jacuzzi was what got me excited about our day at Wensha Spa Timog, but the water there was almost room temperature! It’s supposed to be warm enough to make us feel relaxed. You know, to ease the pain in those sore muscles. Jacuzzi at Wensha’s area for the men was also not warm enough. A male companion told us that he asked a Wensha staff three times about the temperature of the water, but the temperature never went up. The staff just kept on saying that it takes a long time to become hotter. But our male companion asked him 3 times in the span of 5 hours! I think their heater must be broken. I felt like I wasted money because of the jacuzzi water’s temperature. 🙁 It was mostly what I came for in that spa! You’d know I’m really disappointed because I even wrote about this and dropped it in their suggestion box before leaving the spa. The dry sauna was nice. You need to sit there for a while until you feel the heat in your body. There were coals in the corner of the room, which I think is where the steam comes from. After a long while though, the heat can be suffocating. Especially if you go there with chest cough like I did. In a nearby room was the wet sauna. It’s the room where there’s thick steam. One of my female companions couldn’t stand it because she could hardly breathe there. I stayed behind just to experience it and realized I couldn’t last long either. Hehe. 😀 It was nice too, because I could feel it heating up my body faster than the dry sauna did. But it was tough for my breathing because of my cough and – sorry if it’s gross – mucus was already dripping down my nose! I also feared my contact lens would melt in the heat. xD Not sure if that could really happen in a wet sauna, but better be safe than sorry. It was time to clean ourselves before the massage. There were bottles of body wash and shampoo in the shower rooms. Some shower rooms had translucent doors, and some did not have doors. There was one blow dryer in the powder room. There were two hair combs, some ear buds, cotton, hair setting lotion, disposable toothbrushes and a tube of toothpaste. Their hand soap was strawberry flavored and I liked that. It was after the shower when I felt most relaxed at Wensha Spa Timog. When we were ready for massage, the room for 3 people was just taken. There were two available beds in the common massage room, where I think more than 5 beds were placed, but we chose to just wait for the more private room for 3 people. We waited for one hour, and then were asked to enter the room, finally! The therapists asked us if we wanted mineral oil or ginger oil. We all chose ginger… but I didn’t feel any spiciness on my skin nor did I smell any gingery aroma in the room. Hmm. After the massage, the therapists asked us to sign a small sheet of paper. We affixed our signature and the amount of tip we wanted to give. To make our 780 pesos more “sulit” we went back to the dining area to eat again. We requested our serving of beef with the beef food stub. We mixed the beef into our hotpot. The soup was tastier, but no longer as refreshing as the previous one because of the oil from the beef. There were new dishes on the buffet table. There were spaghetti with olives (sauce not thick enough), pork in oyster sauce, spicy squid, and lumpiang toge. The dessert that I liked was GONE with no replacement dessert! It was one of the two things that made me happy at the buffet, the other being the hotpot. Do not take a bath, no matter how warm, after a massage. Wait at least 3 hours before even washing your hand! This is what our female companion said as a person with knowledge in health care. Do not drink cold drinks after the massage. Also wait for at least 3 hours before doing so. Try to relax as much as possible during the massage, especially the times when they stretch your body.